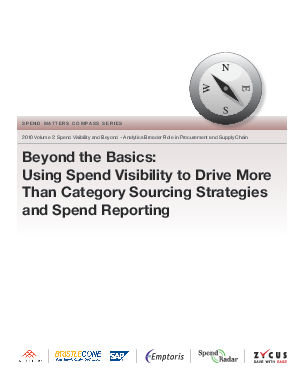 Spend Matters has long argued that spend visibility and contract management have always been two sides of the same coin. Companies can leverage an integrated spend analysis, contract management and P2P solution set to institute real-time controls to validate a number of possible spend variables. As tomorrow’s solutions bring new capabilities, it will become even more confusing, so companies interested in exploring the next generation of spend analysis capabilities should download this report today.